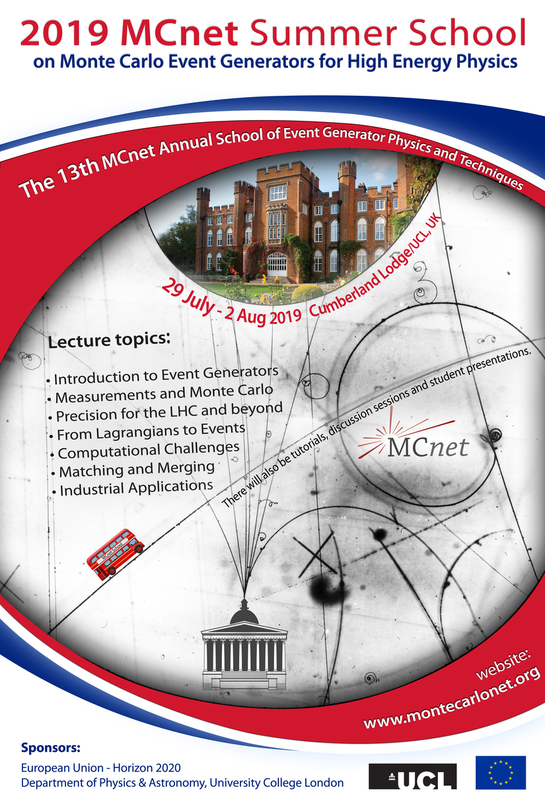 The 2019 MCnet Summer School on Event-Generator Physics and Techniques will be held at Cumberland Lodge, located in Windsor Great Park (about an hour from Central London), with arrival on Monday (morning) July 29th and departure on Friday (afternoon) August 2nd 2019. The school provides a five day course of training in the physics and techniques used in modern Monte Carlo event generators via a series of lectures, practical sessions, and discussions with event-generator authors. The school is aimed at advanced doctoral students and early-career postdocs.